Integration with Eclipse requires sbteclipse 4.0.0 or newer. 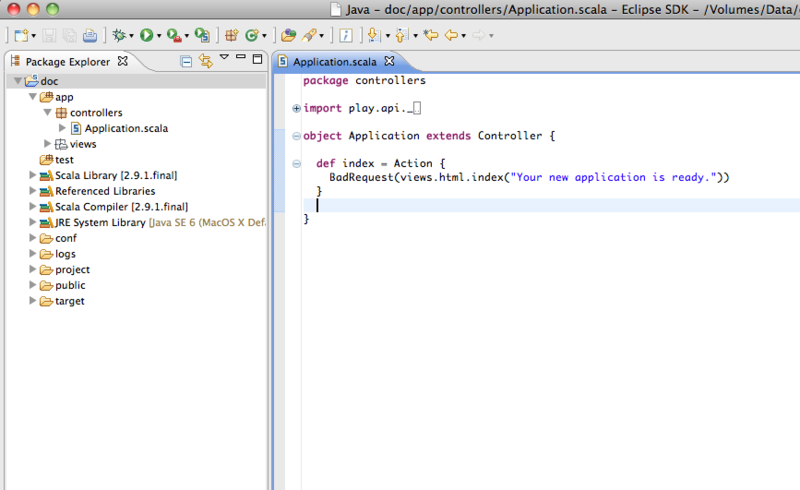 Open New Project wizard, select Activator under Scala section and click Next. Select one of the templates suitable. For the basic empty application you can select Play Scala Seed. The full list of templates can be found on Lightbend Activator templates page. NOTE: Play can only display runtime exceptions, and compilation errors (even involving Twirl templates or routes) cannot be displayed in an error page. You can easily navigate from error pages to IntelliJ directly into the source code, by installing the Remote Call IntelliJ plugin.